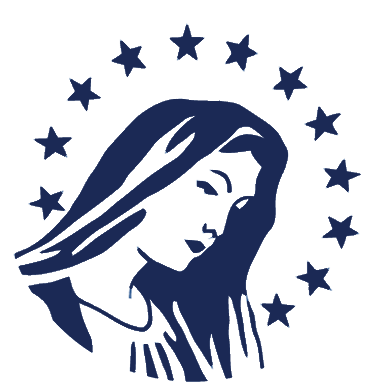 The goal of Beginning Latin I is to understand the parts of the noun and verb, particularly the way that the different forms are built on the stem. In order to properly conjugate and decline, the student must understand the parts of the verb and noun and how they work together. Beginning Latin starts by explaining the stem. Then present, imperfect, and future tenses in the third conjugation are taught as stem + some unique change or addition to the stem to indicate the tense + personal endings. Fourth conjugation verbs are taught as "copycat i-lovers" — i.e. they imitate the third conjugation verbs but keep their "i." All five cases of the noun in the third declension are taught in their basic uses (and only in the singular). At the end of the book, the student can translate basic sentences by identifying the subject, possessive, direct object, indirect object, and object of the preposition. The student then remembers the correct Latin vocabulary words, find the stems, and adds the correct endings. In this way, by using basic universal rules, the student builds for himself a system by which he can understand the different parts of the sentence and how they translate into Latin. At this stage, the students work by memorization and observation. They easily memorize vocabulary and endings. They learn to observe certain signs that tell them which tense a word is in, what the job of a word in a sentence is etc. Because memorization is easy for them, they also start to memorize the irregular verb conjugations, although not much emphasis is put on using them. Because the students are not ready for analysis, rules are kept basic and exceptions are limited. For example, they are taught to recognize the possessive by the word "of" and the indirect object by the word "for." "To" is thus never used for an indirect object, and "for" is never used for a prepositional phrase. In later books, these distinctions will be made. Beginning Latin has a couple irregularities in the way concepts are presented. First of all, it calls the "imperfect" tense the "past" tense. This is because it is a type of past tense — the past incomplete — and it is the only past tense the students are taught. When the students are taught the past complete in later books, this naming will be changed. At this point, it is simply necessary that the students are able to make the distinction between past, present, and future. Beginning Latin also begins with third conjugation and third declension. There are more vocabulary words in the third conjugation/declension in the Latin language than in any of the other conjugations/declensions. The only reason that most Latin books begin with first conjugation and first declension is that they are named first." 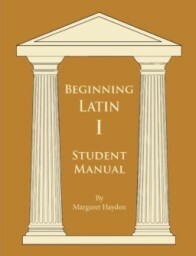 For more information, please see books.modg.org: Beginning Latin I.